With its digestible price and overall practicality, the 2014 Nissan Leaf is an appealing choice for buyers ready for an electric vehicle. Like other EVs, the Leaf's sub-100-mile range and hours-long recharge times won't work for everyone. For those who can make the compromises, this all-electric hatchback rewards with its ease of use and the fact it never needs gasoline. All for the love of my leaf. Hybrid cars make me feel good about my impact on the environment. The leaf is really hybrid, which makes it a good environment impactor. I still love being in the sun when it is hot. When I drive my leaf, I feel like some people look at me, and others do not look. I am not responsible for other people's pollution, but I want everyone to stop being bad to the planet. The leaf deserves its name because it floats like one. Nissan leaf; future car here now. 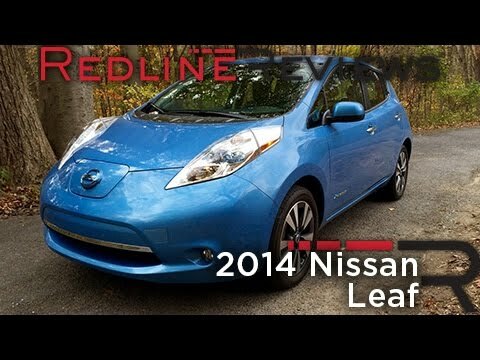 The Nissan leaf is an electric vehicle. It must be plugged in to have power to drive. I find it a very comfortable car to drive with Nissan features; push button start, lots of interior lights, plug to charge phone. Good turn radius. I find it very economical to drive. Really enjoy driving a bit slower to increase performance and see the scenery along the way. 100% charge is good for LESS THAN 100 miles of driving. I like the fact that an electric vehicle frees me from having to buy gas, and doesn't create air pollution. It is also virtually maintenance-free and, since I have a photovoltaic system for my home, costs me almost nothing to run. I dislike the time required to fully charge the vehicle, and the fact that it can only run 75-80 miles on a full charge. Nissan will notify owners, and dealers will replace the inverter, free of charge. The recall began in July 2014. Owners may contact Nissan customer service at 1-800-647-7261. Nissan North America, Inc. (Nissan) is recalling certain model year 2014 LEAF vehicles manufactured February 28, 2014, through March 12, 2014. The front structural member assembly may be missing welds, which could reduce the structural integrity of the vehicle if the vehicle is involved in a crash. As such, these vehicles fail to meet the requirements of Federal Motor Vehicle Safety Standard (FMVSS) number 208, "Occupant Crash Protection," and 305, "Electric-Powered Vehicles: Electrolyte Spillage and Electrical Shock Protection." Missing welds may effect the vehicle's integrity in the event of a crash, increasing the risk of injury to the vehicle's occupants. Nissan will notify owners, and dealers will inspect to see if any of the welds are missing. Any vehicle missing welds will be replaced, free of charge. The recall began on June 2, 2014. Owners may contact Nissan at 1-800-647-7261.